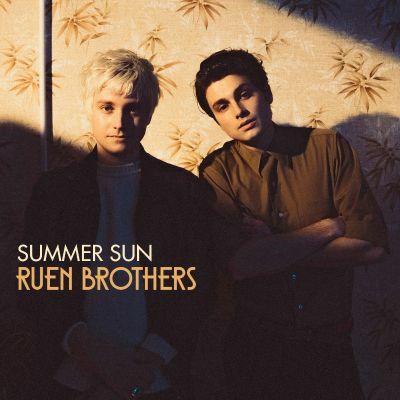 Después un muy prometedor inicio en el 2013, Ruen Brothers desaparecieron casi todo el 2014. Después se supo que habían pasado meses grabando su disco debut con Rick Rubin en Los Angeles. Pero el 2015 vino y se fue y seguimos sin disco. Solo esta canción, y una reedición de su añejo single Aces, y nada más. ¿Será que el año que viene por fin tengamos la explosión de los Ruen Brothers? Are you going, are you going my fading light? It’s cold at night without your light. The sound of the night rings blue. Oh and flowers hide and she’ll hide until you are near. Through the seem of the curtain bling. In the summer sun, my mind will settle. In the summer sun, roses and their petals seem to grow. The city’s gold, it’s so cold, are you there? Let her swirl around, all around, the warm warm air. I feel you there, beating glares on my face. They’ll sit inside, they’ll sit inside until you appear. Oh and flowers hide and she will hide until you appear. You make things clear, but through the seam of the curtain blind. In the summer sun, roses and their petals seems to grow. In the summer, my mind will settle.